The amount that you will be paying for your orthodontic treatment will depend on the treatment plan and the prescriptions that the orthodontist suggests. Dr. Ward and his staff will discuss in detail the treatment costs and the available payment options so that the treatment won’t be too much a burden. After putting back your beautiful smile, Dr. Ward and his team would like to keep you smiling with payment plans that are suitable for your budget. This way, you will know how you can pay before the treatment is done. We want you to keep your glowing smile. 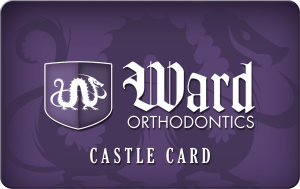 We strive to give you the best orthodontic treatment and the easiest payment plans available. We accept major credit cards and insurance plans. When it comes to insurance claims and the paperwork that comes with it, our office staff is always willing to lend a hand. We will let you gain a proper understanding of your insurance options and we will work out your payment with your insurance provider as well. Do not hesitate to contact us for questions on your insurance coverage. After all, we want to keep you smiling by making your financial burdens lighter.